Florida boating? We’re always in! 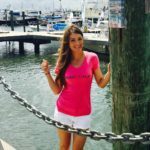 If the sun, sand and crystal blue waters aren’t enough reason to explore this boater’s paradise, the seafood should push you overboard. Below are some tasty reasons to boat to Florida. Enjoy! About: Unlike the blue crab, you only eat the claws of Florida stone crabs, which are considered a delicacy. Fishermen take only the claws and return the crab back to the water where their claws regenerate the next time they molt. percent of them coming from Florida. The Florida stone crab is usually fished near jetties, oyster reefs and other rocky areas. 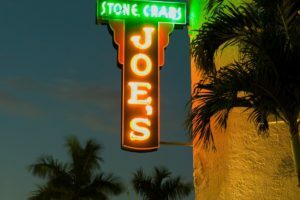 Joe’s Stone Crab, Miami (305-673-0365, joesstonecrab.com) As the top buyer of stone crab claws, Joe’s Stone Crab started with humble beginnings in 1913 as a small lunch counter in Miami Beach. Grimm’s Stone Crab, Inc., Everglades City Grimm’s Stone Crab, Inc. is a beloved piece of Florida’s stone crab industry. 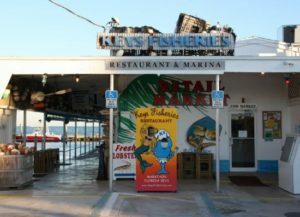 Providing diners with daily fresh caught stone crabs and other incredible seafood, this Everglades City seafood market is a must try. About: Just the opposite of the Maine lobster, the Florida lobster is smaller in size, does not have large front claws, and is described as “spiny”. Florida lobster is also considered a warm water crustacean and is well known for its delicious tail meat. the 8-month regular lobster season (August-March). Key Fisheries is a must try! 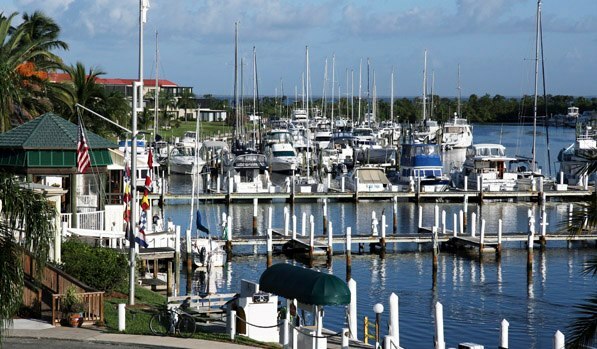 restaurant, seafood market and wholesale fishery, they serve up some great seafood. The renowned Lobster Reuben consistently keeps Keys visitors migrating to this seafood hot spot. A&B Lobster House, Key West (305-294-5880, aandblobsterhouse.com) Combining a stately atmosphere, stunning views, and locally caught lobsters, A&B Lobster House offers several different takes on Florida Lobster. It’s no wonder that A&B has been a tradition for Key West visitors since 1947.